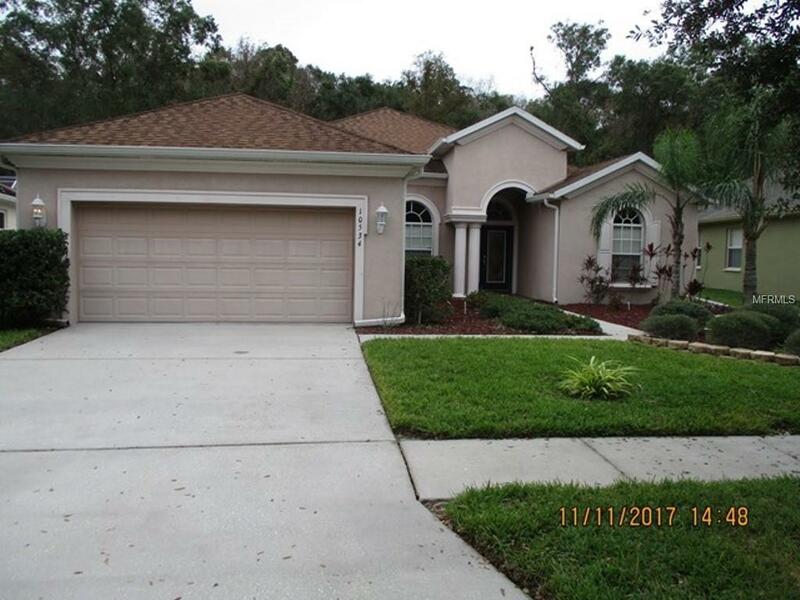 Beautiful 4 bedroom, 3 full bathroom home in Suncoast Lakes. This home is immaculately kept. Kitchen features updated appliances with a cook top and separate wall oven. Designer tile work and granite counters throughout. Hardwood laminate flooring in the main living area. Master bath features dual vanities with dressing station. Separate garden tub and over sized walk-in shower. Enormous closet to get lost in! Split floor plan allows for separate bedroom with its own bath. Community has pool, playground, tennis courts and basketball!! Seconds from the Suncoast Parkway and shopping, dining and entertainment.